Belleair is undertaking a six-month process to work with residents to develop a vision for the future of Belleair – and a strategic plan to make that vision a reality. BELLEAIR – The town of Belleair is about to embark on a six-month process to partner with residents to develop a vision for the future of Belleair – and a strategic plan to make that vision a reality. Community forums will be the start of this process. This first forum will kick off the process and start conversations among residents about the future of Belleair. Discussion will focus on identifying those things about the town that residents treasure and wish to preserve, as well as the community’s hopes and aspirations for the future. The forum’s agenda will include a combination of small-group discussions and large-group workshop activities that aim to facilitate open conversation and the sharing of ideas. 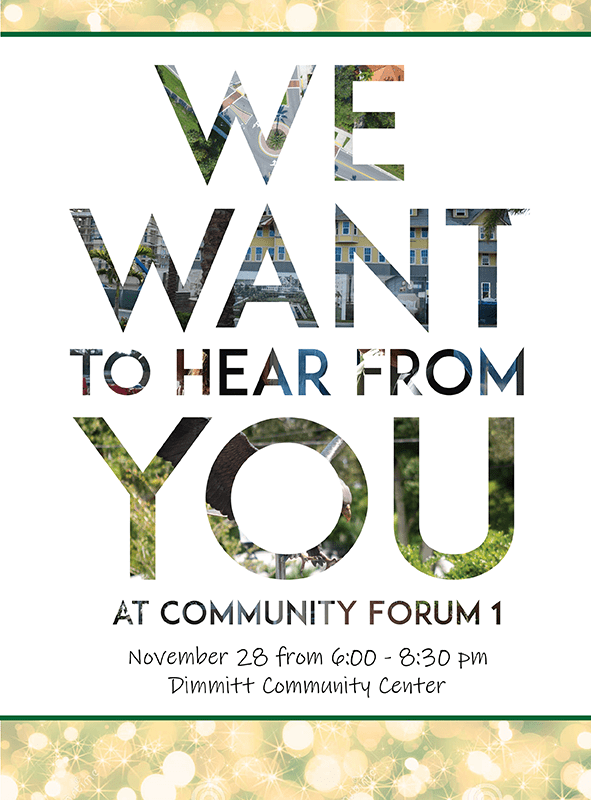 The first forum will be 6 p.m. to 8:30 p.m. Wednesday (Nov. 28) at the Dimmitt Community Center, 918 Osceola Road. Additional areas for input will include a second, follow-up forum on from 6 p.m. to 8:30 p.m Jan. 9 at the Dimmitt Community Center and an online anonymous resident survey will be made available in the coming weeks. The project is expected to wrap up in April 2019 with a formal document and presentation being delivered to the Belleair Town Commission. Belleair has hired the Florida Institute of Government at the University of Central Florida to facilitate this project and to write and present the final strategic plan to the commission. While the project team from the FIOG includes additional staff, the facilitators for this forum will be Rafael Montalvo and Mari Rains from the FIOG. More information on this project and its components is available at townofbelleair.com. Questions may be directed to Public Information Officer Cathy DeKarz at (727) 588-3769 x 242 or cdekarz@townofbelleair.net. Photos courtesy of the town of Belleair. Belleair is undertaking a six-month process to work with residents to develop a vision for the future of Belleair - and a strategic plan to make that vision a reality.